Communiqué of the Maiden Edition of the Edcamp for Teachers and Educators in Osogbo and Olorunda Local Government hosted by iRead To Live Initiative at Delightsome Hotel, Osogbo on Saturday 15th of December, 2018. The maiden Edition of Edcamp Nigeria was successfully hosted by iRead To Live Initiative – a Non-profit organization that focuses on supplementing Government’s efforts in achieving the United Nations Sustainable Development Goals of Quality Education in Nigeria. The programme held at Delightsome Hotel, Osogbo, Osun State on Saturday, 15th of December 2018. The One Day participants-driven sessions had the presence of 70 Teachers and Educators from public schools in Osogbo and Olorunda Local Government Areas, Government officials from the Ministry of Education, Schools department, Quality Assurance, Media stations and members of the general public. The Founder of Edcamp Nigeria, Sule Jacob O. delivered a well-articulated keynote address. Two central technical sessions were held and sub-divided into five various discussion groups. The conference also extolled the manifestation of the use of 21st Century teaching approach and encouraged teachers to seek professional trainings in other to revive the falling standards in the quality of education that now undermines the integrity of primary, secondary and tertiary education in Nigeria. Participants suggested various topics which were discussed by themselves in various syndicate groups, problems were identified, solutions and recommendations were also suggested. 2. Use of Unified Curriculum in Schools. 3. Early Childhood Education in Elementary Schools. 5. Discipline in Elementary, Middle and High Schools. 9. Effective Monitoring and Inspection of Schools. There were presentations made by Mr. Olalekan Adeeko, Microsoft Innovative Educator Expert on the topic - 21st Century Learning Design and Mr Dele Ajayi, Director of News, Unique FM on Media and Literacy. 1. Collaboration: teachers were encouraged to help students view concepts as problem solvers and develop certain skills such as creative thinking and negotiation skills, which may not necessarily be treated as topics in their curriculum. Teachers were also urged to learn from their students and colleagues to enhance learning. 2. Skill communication: students should be encouraged to use pictures, drawings, videos and talks to summarize different concepts and to help them develop innate skills. 3. Knowledge constructions: the focus on teaching should not be entirely on the ability to reproduce knowledge but also on higher order thinking skills. 4. Self-regulation: teachers should help students set target for themselves so they can learn on their own. 5. Real-world problem solving and innovation: challenging students to take up projects within their reach thereby making learning less abstract. 6. Comparing two learning activities. 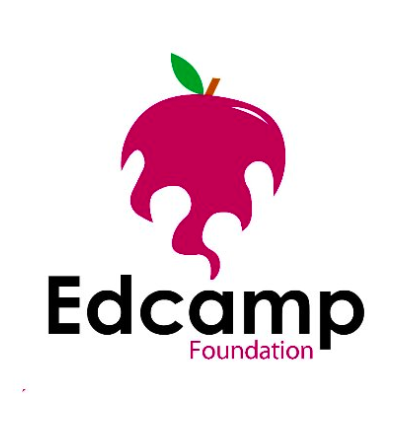 The Edcamp Nigeria Team thanked all participants for their contributions and comments in charting a new cause towards achieving improved Teaching and learning outcomes in Osun State, Nigeria. Bridging the gap in education by training educators in underserved areas of Nigeria.